You’ve probably known somebody who’s transitioned mid career into a real estate job. Everyone from educators, to businesspeople, to clergymen have taken it on in addition to their current careers. It’s the kind of job that people get into to make money and to continue to dedicate time to their passions. You may not have known, however, that women outnumber men in real estate. While men sometimes are looked at as better real estate agents before a woman’s even seen a client, it’s clear that women are the future of the practice. Now, the state of the U.S. housing market is constantly fluctuating. But even so, it seems that real estate jobs are going to multiply. If you’re looking to enter the industry, here’s a basic list of what you’ll need to do so. To sell real estate, you need a license. The rules for licensing change state to state, but they always require pre-licensing courses. Additionally, agencies may require more education before they hire or start working with someone. Don’t worry however, because this is typically less schooling than other careers as it doesn’t actually require a specific degree. There are several ways you could go in real estate, though. Do you simply want to sell real estate as an agent? Do you want to be a property manager? Do you want to be a real estate loan officer? The list goes on, and it’s up to you to decide what the best move for you is. Women are underrepresented in real estate positions of leadership and sometimes paid less than their male CEO peers. However, right now younger women are less intimidated by glass ceilings, and the tide seems to be turning, so hopefully things will change, as the job market is very overdue for it. The next step in real estate is to find yourself a home — that is, an agency you can work for. How ironic that you need a home base to sell homes! Think about what you want in an employer. Do you respect them? Do they seem to respect you? Are they here to help you get established in this business, or is it primarily cutthroat with other agents and co-workers? We know that this may be difficult for some men of older, “traditional” mindsets as well — there may be a power hierarchy to overcome. Once you’ve been at an agency for a while, you may make the choice to move on to another one or start your own. Both of those are okay. Just make sure that you are looking at a workplace environment with realism — no place is perfect! And if you start your own business, make sure that you have enough of a resume to stand out above competition independently. The amount you get for selling a house should be a factor as well — can you top it at your current agency? If not, is it worth the change? Once you establish yourself as a good agent, you will start getting more customers. Simple enough! But how do you set yourself apart and become a “good” agent? Well, that comes down to your customer interactions. Are you able to find houses in people’s budgets? Are you able to bargain when necessary? Additionally your reputation will thrive on your personality and presentation. Are you outgoing, and do you make people feel welcome when they enter a home you’re showing? And do you know what people like? Are you making sure the layout and decor matches up with trending home designs? 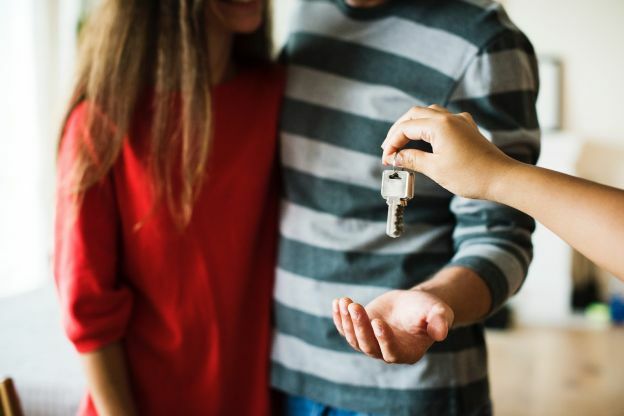 Making sure that someone buys something they’re able to show off to their friends and meets the needs they’re going for is an important part of selling a home. Good interactions with customers will leave you repeatedly recommended and build your reputation as a great real estate agent. Of course, a workplace is competitive for women as well, particularly when other men are around — all the more reason to do your absolute best and knock that competition out of the park. Build your reputation and give noone any reason to fault you. Women are making headway in real estate, and you could be one of them. Hopefully this article helps you with the basics of knowing what you’ll need to do to enter into this world. Do you have any experience in real estate or the process of becoming involved or an agent? Let us know in the comments below!